SOLD SOLD SOLD SOLD SOLD A Star for the future. 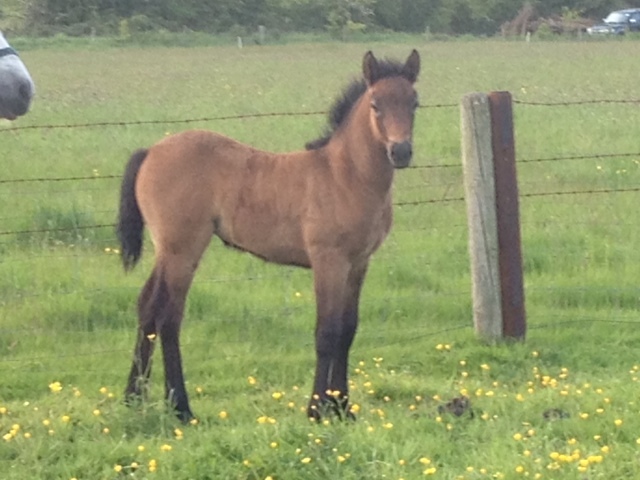 Beautiful filly foal by Innellan Phoenix and out of a Glencarrig Lexus mare. Back breeding has Rory Ruadh-Rebel Wind-Ashfield Sparrow-Silver Cloud-Mervyn Kingsmill-Ashfield Bobby Sparrow. This lady has a very diverse pedigree with inbuilt performance lines, the conformation and movement to achieve a lot when she matures either in hand or ridden. if you are interested please contact us for any further details.